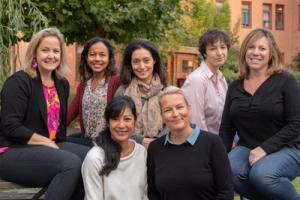 The Parent Teacher Association (PTA) of the International School of Amsterdam is an association of parents and teachers who aim is to create a deeper sense of community and involvement for ISA students and families. The PTA committee is comprised of elected and appointed members selected at the Annual General Meeting held in May each year. For those who arrive after later in the year, there are still many opportunities for your involvement and ways your talent and enthusiasm can be used! The PTA has several committees to ensure that all families and international communities can be involved with the school and can develop lasting connections from their time at ISA. We understand how moving house, school and country can be an exciting, yet challenging experience and we are here to help you navigate through this process. We offer a wide variety of newcomer activities to help you get acclimated to your new school, home and community. Several activities/workshops are planned throughout the year to introduce local customs, culture and holidays, discuss local healthcare, green living and provide other local tours. Our committee Newcomers Welcome Table will be set up at the school foyer during the schools orientation days and from 8:30-9:30 during the first week of school in August and January. A special PTA International Communities Welcome Coffee will be held in August and January to specially welcome you to our community. Free Newcomers Walking Tours are organised to help you quickly familiarise yourself with your new surrounding as well as meet other new and existing parents, a series of informative talks and fun walks around Amstelveen and Amsterdam area are organised by our committee during peak arrival season at ISA (August-September and January-February). A lovely and unique feature of ISA is our number of international communities. We are very fortunate to have such diverse nationalities and cultures from around the world. The PTA has recruited volunteer national representatives for each nationality/language group to assist our families during their time at ISA. Our representatives welcome new families and organise different events and activities at school, allowing our entire community to benefit from various international celebrations while building cultural awareness. Login to MyISA to access contact details for your national representative. Want to learn a new language, visit cultural hotspots, take part in a book, sewing, walking or running group? Then our PTA Let’s… series is perfect for you. Let’s Talk – learn a new language through these conversation groups. Led by volunteers from our ISA community, this is one of the PTA’s most popular social groups. Let’s Go – Become familiar with the Netherlands through a programme of cultural and social activities. This is a great way to meet people and discover more about what the Netherlands has to offer. Each month offers a new organised outing ranging from city trips to boat tours. Let’s Read – A fun reading group for parents at ISA. The group chooses books from a wide variety of international authors, one to generate discussion and to learn new perspectives. Other groups include Let’s Stitch (sewing), Let’s Run (running), Let’s Walk the Dog (for dog owners) and Let’s Cook (cooking lessons). The PTA School Store – The Bear Necessities – is located in the main foyer and is run entirely by parent volunteers. The profits generated by the store go to the PTA and are used to cover costs of various PTA-sponsored events and as matching donations for SHARE charities. Bear Necessities stocks many of the school supplies ISA students need for the academic year, plus a wide range of ISA items like t-shirts, PE shorts, music and gym bags, mugs, shopping bags, pens etc. The store also sells maps of Amsterdam and surrounding areas and a variety of books and dictionaries to help you settle in the Netherlands. Each week different national communities organise “Weekly Wednesdays”coffee mornings from 08:45 – 10:00 in the Cafeteria Annex. This is an opportunity for an informal drop-in coffee morning that can serve as a platform for you to connect with new and existing parents. For more information on the ISA Parent Teacher Association, please feel free to email us!